Please make a selection to the left to find out additional information available to Officials on this website. Prior to becoming recognized as a certified official within the region, you must become a registered member of the Great Lakes Region and complete a Background Screening. The Background Screening is valid for 2 years. Registration Information can be found by going to the Great Lakes Region Registration Information page or by clicking on the Registration Information link on the left menu. To be in good standing with the region, Officials must also attend a Rules Meeting, pay the assigned Region fees, and take and pass the officials rules exam each year. HOW DO I BECOME A USAV OFFICIAL? Carefully consider the resources required before embarking on the certification process, and understand that certification as an official does not guarantee availability of paid assignments. The minimum age for becoming an official is 16 years of age by September 1st of the current season. Send a brief resume of your volleyball officiating experience and a list of three volleyball references to marymalpede@comcast.net. You may not be accepted wihtout prior volleyball experience. Send a brief resume of your volleyball officiating experience and a list of three volleyball references to marymalpede@comcast.net AFTER SEPTEMBER 1st. Register as a member of the Great Lakes Region, USAV through Webpoint from the region website, http://www.greatlakesvolleyball.org after September 1st of each year. Please note that a background screen, (good for 2 seasons) at an additional fee, is required for all officials. Screening must be done through USAV. Background screens done through other government or private organizations are not accepted. 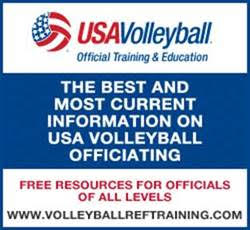 All certified officials must be a member in good standing of the Great Lakes Region, USA Volleyball. Register and complete the online NEW Candidate Officials Required modules, pass Form C written test, as well as complete a SafeSport Certification. Instructions will be sent once accepted as a candidate. Attend a regional training clinic, IN EARLY DECEMBER. Sites and dates will be posted in Webpoint under the Region Clinics and then Region Ref/Score Clinics. The candidateâ€™s fee is $100.00 (students please contact us before paying the candidateâ€™s fee) which includes the above â€œon court trainingâ€� and rating process. Optional camps are offered for a separate fee of $100.00. These camps are very helpful especially if you are a candidate with limited experience. Camps are held at a local Junior tournament. Clinicians are there for you to help while you learn giving on site instruction and guidance. If you received certification in another USAV region, please ask your previous Officials' Chair to send information regarding your standing in that Region. review the training materials. Also it is recommended that you volunteer your time to practice at a club practice or as an R2 at a local tournament. New officials must be evaluated and receive a passing rating on at least two matches as the first referee and on one match as a second referee. Candidates must also complete requirements to become a certified scorekeeper. 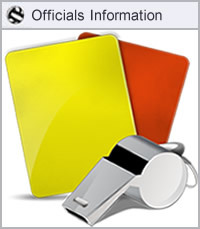 For training and evaluation matches, prospective officials are not required to have the official uniform, but are required to wear clothing and have equipment similar to that of certified referees - navy blue slacks (no jeans), white polo shirt, white socks, white gym shoes, dark lanyard, dark whistle, red & yellow cards and a flipping coin. Since the evaluations are pass/fail, prospective officials are not required to purchase new uniform clothing until they have successfully completed the process. 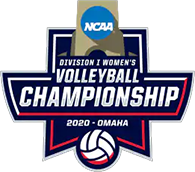 Once a candidate has completed and passed the certification process, they will be certified as a Provisional USAV referee, and must recertify annually. After a minimum of two seasons as a Provisional referee, they may apply for Regional certification status. Certified officials are required to wear the official USAV uniform when working at sanctioned events. The uniform consists of either white, blue, gray "Certified Volleyball Official" polo shirt (short- or long-sleeved) or the official jacket, dark navy blue slacks, black or blue belt, and solid white socks and gym shoes. The slacks should be polyester or a polyester-cotton blend. Avoid slacks that are 100% cotton, as they fade quickly, and consequently, they do not look professional. The shoes must be solid white (no colored logos), as well as the socks. It is best to purchase a pair of shoes that you will use exclusively for officiating. 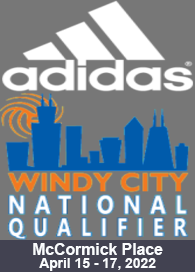 Assignments for all Great Lakes Region Windy City Power League events in the Great Lakes Region are made through our assigning system. Volleyball officials are independent contractors and are not guaranteed assignments. Each sanctioned event has a Tournament Director who is responsible for assigning referees for their event. THERE IS NO GUARANTEE THAT ANY OFFICIAL WILL BE ASSIGNED MATCHES DURING THE SEASON. Due to the number of assignments available vs. the number of officials, opportunities to work events may be limited if not willing to travel. Officials with prior experience and higher rankings will be given first priority for events. For those wishing to pursue certification, advancement and assignment to Great Lakes Region events, the following activities are encouraged. Be a student of the game: know the rules and keep up to date with current interpretations. Be professional: look your best and behave according to the standards outlined in USAV training materials. Look for opportunities to practice your officiating. Officials improve through working matches. Since assigned matches are limited, look for volunteer opportunities with local club scrimmages and as an R2 at local sanctioned events. These activities will increase your experience as a referee and your exposure with officials and tournament/event management. Seek feedback and be open to receiving it. Work with other more experienced officials and ask for tips for improving your game. Be receptive when the feedback is given, even if you don’t agree. Take in the comments and reflect on them. Being able to use that information to improve is an important part of being a certified referee. Apply for additional formal evaluations at region events when the opportunity is available. Again, it is important to be receptive to all feedback from ratings and evaluations. Attend any and all training opportunities that are offered in the region and make use of the excellent online training from USA Volleyball. Good luck in pursuing volleyball referee certification. The process requires dedication, time, expense and hard work, but can be very rewarding for those who choose to invest their time and energy in the process.